Well done you 4 boys!!!! You came to school EVERY day during year 2 which means you got your £10 prize and your certificate in Mrs Warners assembly!!! Well done I'm very proud of you and you can now have a relaxing summer! Here is the column addition and subtraction games we have been using, you may need your grown up to give you a little help if you need to borrow or carry!! This half term we are focusing on athletics on P.E and are developing our throwing skills, both underarm and overarm, our running, jumping and relay. We have been having lots of fun so far and we are displying some fantastic skills already!!! This week across literacy and topic, we are learning about the night sky and the features of our solar system so we can include some facts in our non-fiction text. Here we are making solar systems out of play dough, using pastels to create a night scene and making our information leaflets using purple mash about the night sky. Can you remember the poem to remember the order of the planets? Mr Viper Eats Metal Jam Sandwiches Under No Pressure!! Hi to our 3 Quadblogging buddies!!!!! Thank you for looking at our blog, we hope you enjoy it, like we are enjoying looking at yours!! If you would like to look at any of our quad blogs for this term, click on them at the top right hand side of the blog!! Here is a website you might want to look at to give you an idea for another paragraph of your 'Night Time' information text! It tells you all about the soon moon and stars...we will be looking at this next week in topic!!!! Over the next two weeks we are going to be looking at non-fiction texts and nocturnal animals. We will be researching facts and using them to put together a non-fiction piece of writing. This is a very interesting website with lots of facts to help you. It will also help you with your learning log! Our New Topic - She Sells Sea Shells On the Sea Shore! Hi everyone I hope you have all had a lovely Easter holiday!!! I am looking forward to seeing you all again! Our topic next term is the seaside!! Hopefully the weather will get a bit better to go with our topic!! Do you recognise this seaside resort? 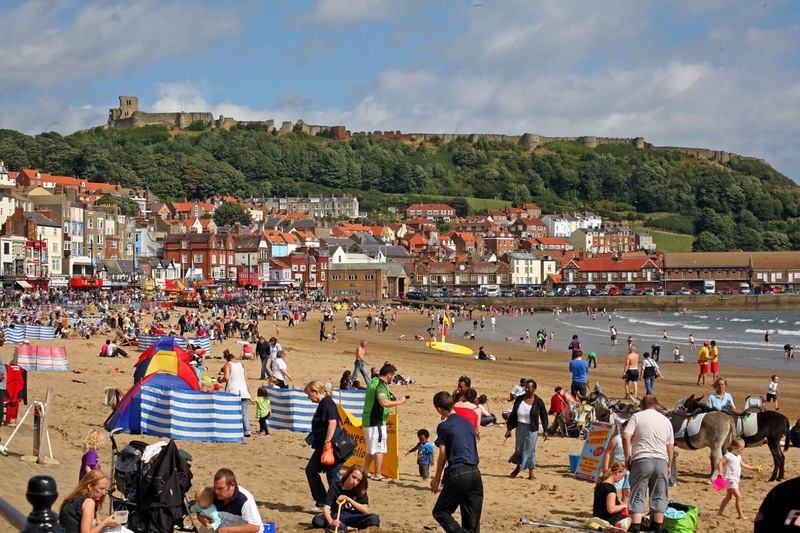 We will be looking at the history of the British seaside, geographical features of seasides around the country and the world, completing various pieces of artwork based around a seaside theme as well as a trip to Scarborough!!!! Hope you are all enjoying the holidays and haven't made yourself sick with too much chocolate!! Here are the photos from out biscuit decorating treat at the end of the term.... I hope they tasted yummy!! We are also making our own Easter palm crosses using green sugar paper and we have been looking closely at Palm Sunday. You can watch the method of making an Easter palm cross here...all you need is a piece of long thin paper! Math Snow Day Games...The spinners! Start by choosing 2 spinners and then set your value (in class we used any of the top 5 depending what you feel most confident with) and then spin them and decide what operation you will use in the middle and work out your answer before revealing it!! 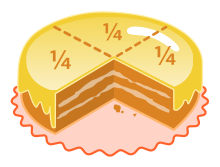 (Remember you will only be able to do suntraction if the first number is bigger than the second). Have fun!!! Let me know what equations you come up with!! Hi everyone unfortunately school isn't open due to the snow and the forecast for the rest of the day... BUT!!!! There is a Sumdog National challenge beginning today!! That means you will not just be competing against children in schools in Leeds like before, but you will be competing against children in schools all over the UK!! Quick... log on on and earn some points, let's see if we can get some names on the leader board!! It starts today and finishes next Thursday! Have fun!!! Today we were making our own Disney animations using the 2simple animations software on Purple Mash. We had lots of fun designing the slides and watching them come together as a short film...I couldn't upload them all but here are a few!! 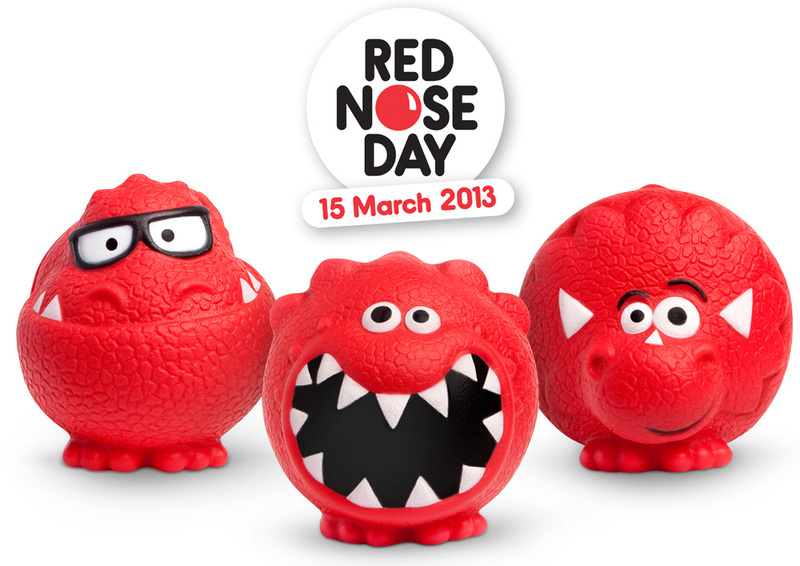 Today we all came in red and wore our red noses to support the worthy cause and donate money towards Red Nose day!! In literacy this week we are focusing on the clip from Fantasia 'The Sorcerers Apprentice' and discussing the roles of the different characters and what we would magic if we were a Sorcerer!! In Topic over the past couple of weeks we have been designing and making our own Disney hand puppets. We worked hard designing and labelling our initial idea and then using felt we have begun sewing and adding features to make our puppet. Here we are deep in designing!! Tiyah uses very adventurous and descriptive vocab in her writing. She enjoys bringing her writing to life and engaging the reader. She also including the correct punctuation in the correct place. Well done Tiyah!! Today was World Maths Day and we had lots of fun competing in the worldwide competition. We played against children in lots of different countries, Poland, Russia, Japan, Australia, Canada, North Korea to name a few!!! Book Day Thursday 7th March! 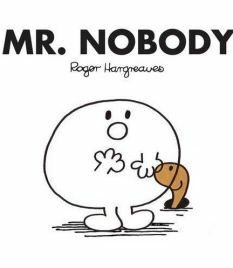 Next week out literacy will be based around our class theme for World Book Day...Roger Hargreaves Mr Men and Little Miss books!!! You can access the website where there are lots of games http://www.mrmen.com/... if you go to the bottom of the homepage, there's a link to click that will take you are lots of activities and games you can look at and play. What character will you come dressed up as on Thursday??!! 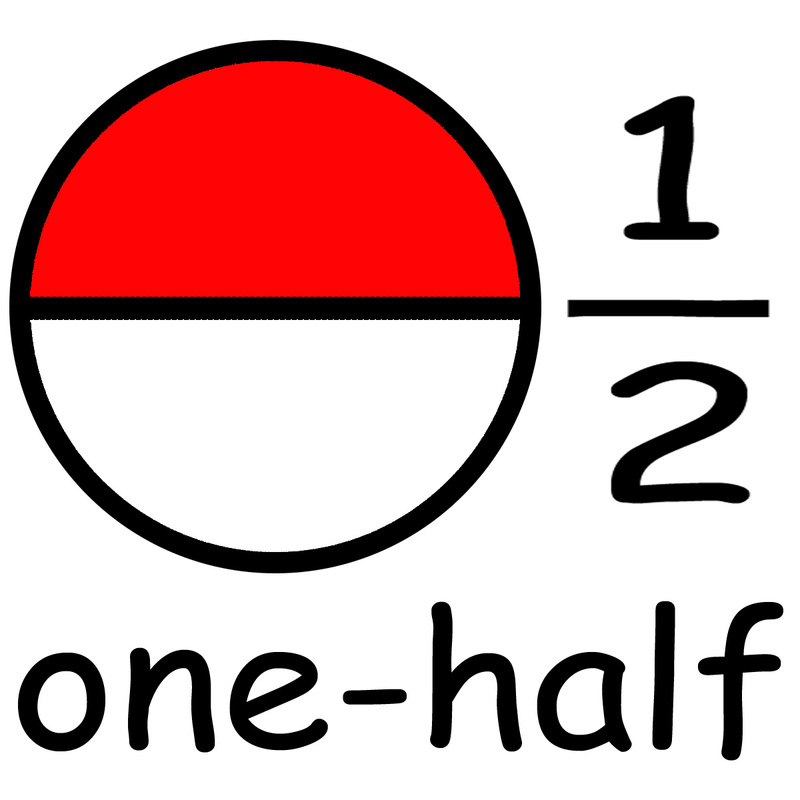 Last week and next week we are parctising our doubling and halving skills....we are doubling and halving numbers to 20, doubling and halving shapes, quantaties and amounts and looking at half past, quarter to and quarter past on the clock. Next Wednesday is World Maths Day!!!!! You have all taken your user names and passwords home so you can access the games to practise by clicking on the logo below!! Get practising ready for the big day and have fun!! Hi everyone hope you had a nice half term! Next half term our topic is 'Walt Disney, Fairy Tales and looking at the roles of different characters'. To start our topic we are going to be looking at a slightly alternative fairytale next week, called 'The Clocktower'. This piece of text looks at a beautiful dancer and we will be examining her role in the story, what happens to her, and thinking about how she got there and what might happen next! I don't want to give too much away as I want you all to share and think of your own ideas but you can have a look at the text now by looking below... See you all tomorrow! After lots of hard work and super efforts in class, we earned our milkshake reward party and on Friday, celebrated with a pirate film to finish our pirate topic, milkshake hot chocolate and biscuits!! A fantastic hour was had by all and we all filled our boots with the yummy food and drink!! As part of Miss Kitchen's gifted and talented role within school, each class has a box of oracy cards. These are ques questions to promote discussion within the children around subjects that we might not always think about within a normal day to day at school. In year 2 we try and have a specific session using the box on a Friday after maths and this week our session was around the card... 'Mystery Item' Describe an object you are thinking about, give 5 clues. We had lots of fun thinking of all sorts of weird and wonderful items. Try it at home with your family!! Last week in literacy we were comparing other text by 'Maia Walczak' to the 'Silent Blue Book' we looked at the week before. One of the text we were examining was 'The Black Hat' and we enjoyed making our own pieces of drama up to represent how we would react if we found a magical black hat in the woods. You can enjoy the story by clicking on the picture below..
Next week in literacy, we are going to be watching 'The Silent Red Book' by Maia Walczaka and comparing it to the text we watched last week, The Silent Blue Book. When you watch it, think about the characters, describe them, where do we think they have come from? What happens when they meet? What is similar to 'The Silent Blue Book', what links can you make? How does the story make you feel as you watch it? Can you add what you think the characters might be saying and thinking? Play 'Cloud Times Tables' HERE you get a nice firework display at the end!! Have fun and keep practising!!! Attendance Treat...Classopoly... Get Out Of Jail Free!! Last week I was so very proud of you all our attendance was 100%!!!!!! We rolled in classopoly assembly and landed on 'Get out of jail free'. Hmmmmm what did that mean?? We all got a great surprise when Miss Stephens marched us out of assembly and into the green room, to 'do it Gangnam Style'!! Lots of fun and dancing for us all!!! Zofia developed her story with a clear beginning middle and end. She used all the correct punctuation and even included an ellipse!! Her writing was lively and exciting for the reader to enjoy. Keep it up Zofia!! This week in literacy we have been using our inference skills to pick apart a visual text called 'The Silent Blue Book' by Maia Walczak. There was no talking on the text, just music and we were working together to decide what we thought the story was about, what the author was trying to portray and how we felt about the text. Some of us found it so emotional it brought a few tears!! Here we are sharing ideas, listening to each other and writing our views. Don't forget you can click on the 'CEOP' logo at the top right hand side of the blog if you have any concerns or worries about anything on the internet, and always talk to an adult. Next week in literacy, we are going to be extending our pirate topic further and reading 'The Spell Shell' by Roderick Hunt and then developing our interpreting skills by looking at 'The Silent Blue Book' by Maia Walczak. It is a piece of text with no words and we are going to be deciding what we think is happening to the character, her feelings, where she goes and why and what is the relevance of the fox. 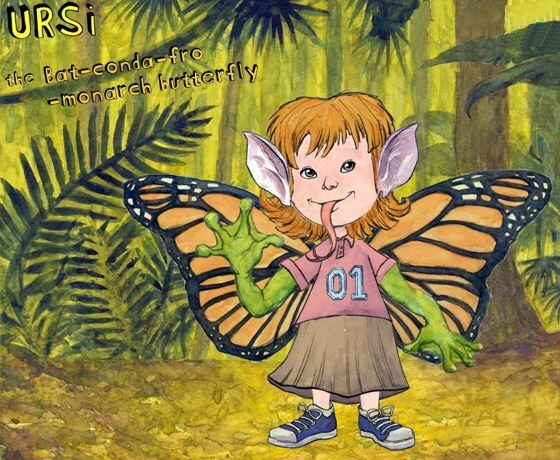 This video is taken from http://www.literacyshed.com/the-maia-walczak-shed.html feel free to look at the authors other texts. Teegan made me laugh with her humorous introduction and then she used speech to develop her characters, with speech marks in all the correct places!!! Well done Teegan!! This week in topic we have been looking at the Jewish religion and in particular the celebration of 'Tu B'shevat'. Can you remember the prayer we said before we started eating? Blessed are You, Lord our God, King of the universe, who creates the fruit of the tree. A Pirate Times Table Hunt!! Remember to keep practising at home!!!!! Play on the table trees times table game HERE we are focusing on 2's 5's and 10's but if you want to try any of the others feel free to!! It's been a chilly week at Fieldhead Carr and we've had to get wrapped up at playtime...here's a sneaky peek at us enjoying the snow!!! Jodie amazed me with her wonderful description. I found her story so exciting and interesting to read because of all the ambitious vocabulary! Super story Jodie! Using Purple Mash on our 'Class Mates' to represent our Pirate data!! Today we were having a go at representing data on pirates using our 'Class Mate' mini laptops to go on purple mash and record our data. Purple mash was very clever how it converted our data into different types of graphs and charts and we then used these to analyse our data. 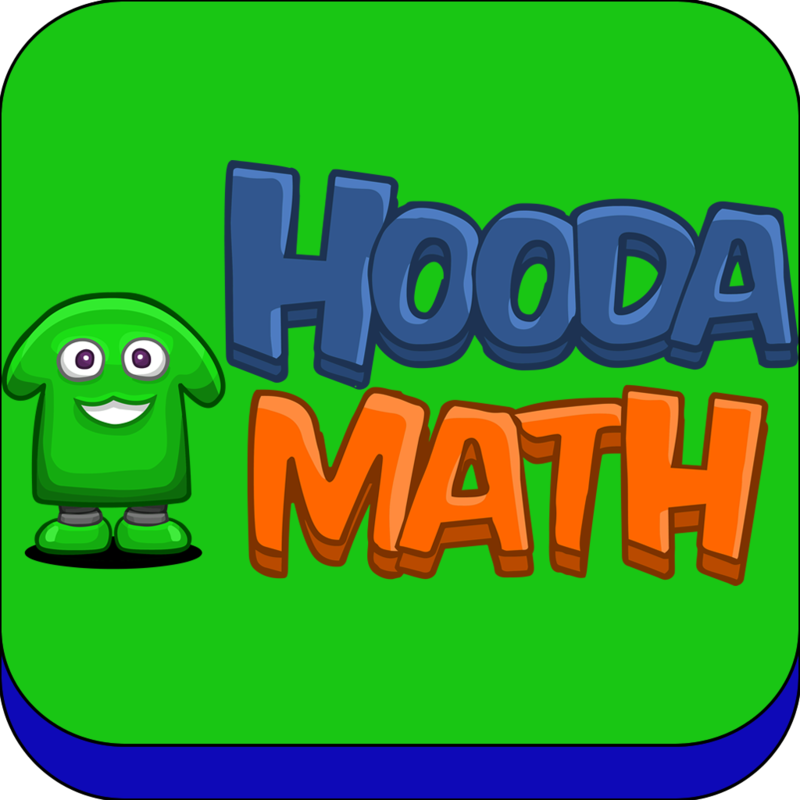 Log on to purple mash at home and make up so data to input and practise!! Over the past week or so we have been having a go at some pirate artwork using a sponging technique to make the waves and then adding a Galleon and pirate scene using oil pastels to blend over the paint. The finished pieces look really effective!!! Can you build a snowman as big as this today?? This snowman looks like he is having fun!! Year 2 Snow Day challenge!!!! Hi everyone!!! Hope you are all enjoying the snow and keeping safe and warm!! I have set you up a SumDog challenge to have a go at while you're snowed in, click on the link below and choose 'Year 2 Snow Day Challenge Monday!' It has just started and finishes at 7.00 tonight! I have had a look at our class leader board and and the moment Layton is in the lead, I'll keep you updated as the day goes along!!! 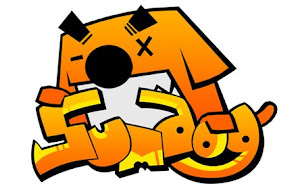 Click on the Sumdog logo to access the site and log in to the challenge!